Income derived from a rental property is taxable. If you own a rental property, the rental income obtained should be declared in your income tax return form. Bear in mind that not all monetary transaction between the house owner & tenant is taxable. Also remember that certain expenses on the rental property are eligible for deduction to reduce the income tax. Take a look at the following scenario. Security deposits are not taxable if the house owner intend to return the money to the tenant at the end of the lease. However, if the tenant breaches his lease terms, house owners are entitled to use the deposit for repair purpose and return the balance back to the tenant. House owner must include the amount used to repair as income and at the same time claim the amount spent as a deductible expense. Advanced rental is taxable even it is not due. It is taxable in the year when money is received. Any expenses on repair made by tenant related to the property is consider as income to the house owner. House owner can then deduct the repair payment as a rental expense. 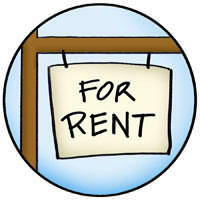 If tenant offers services in the exchange for rent, the fair market value of his services is taxable. Tax deduction on rental property. Repair to keep the property in good condition is consider as expenses and house owners are eligible for deduction. On the other hand, expenses on property improvements, such as new garage are not deductible because it will add values to the property. All expenses incurred in order to obtain a mortgage are not deductible. These includes commissions and legal fees. However, interest from mortgage, cost of insurance and quit rent are deductible. It means that, the house owner entitle to claim “capital allowances” on any plant and machinery used in the business of letting. These could include air conditioners, refrigerators as well as furniture and fittings. If the tax-deductible expenses in any one year exceed the rental income, then the excess being a business loss can be carried forward. jorane, tax deduction is only if you make any repair, pay interest to the bank or quit rent. Hi there, there’s a confused question I would like to ask and hope you could shed the light. My 2 brothers and I bought a shop for rental. This is a 3 storeys shop and each maintenance bill come monthly for each floor. Since the day we received the CF (around 2006), we only paid maintenance monthly and until 2013 we managed to rent it out. Let say for 1 storey only being rented out and another 2 storeys still empty. Net income will be RM2, 000 – RM150 = RM1, 850.00 / month <— is this correct? Let say the strata have 3 names, so can I separate the net income for 3? For example RM1, 850 / 3 = RM616.67 per person? Let say the shop have 3 individual strata with 3 separate maintenance bill. Each storey maintenance cost RM150 the same. Net income RM2, 000.00 (only 1 storey rent out) – RM450 (3 storey maintenance) = RM1, 550 per month <— can I do like this way? Final question, since paid the maintenance since 2006 without rent it out, can I take those loss (negative amount) to offset my income tax starting the year I rent it out (let say rent it on 2013)? And bring forward the loss balance to next year and so on until the amount become positive? Would like to ask on the mortgage loan interest deductible for rental tax. If I already refinance the rented property (with extra money cashout), can I consider the new interest charged on my loan as deductible? Can loss on one house be offset against income from another in Malaysia for tax purpose s?